I have had many people ask me “What is this Group Fight class all about?” I could list the description on our schedule but it really does not do the class justice. Stated simply, Group Fight is a kickboxing class with some twists. Unlike conventional “freestyle” kickboxing classes, Group Fight fuses multiple martial arts disciplines together – boxing, Muay Thai, mixed martial arts (MMA) training, karate and more….plus total body conditioning, agility, balance and strength. You will see familiar moves – push-ups and sit-ups in addition to some unfamiliar ones – the sprawl and the shoot. Like our other MOSSA classes (Group Power, Blast, and Centergy), the entire class is pre-choreographed to a wide range of songs both new and old. Group Fight is choreographed by a team of experts. This includes ex boxers and mixed martial artists; so you can rest assured that all movements are safe and effective. In 60 minutes we warm up, reach our maximum heart rate 3 times, build strength, and stretch. 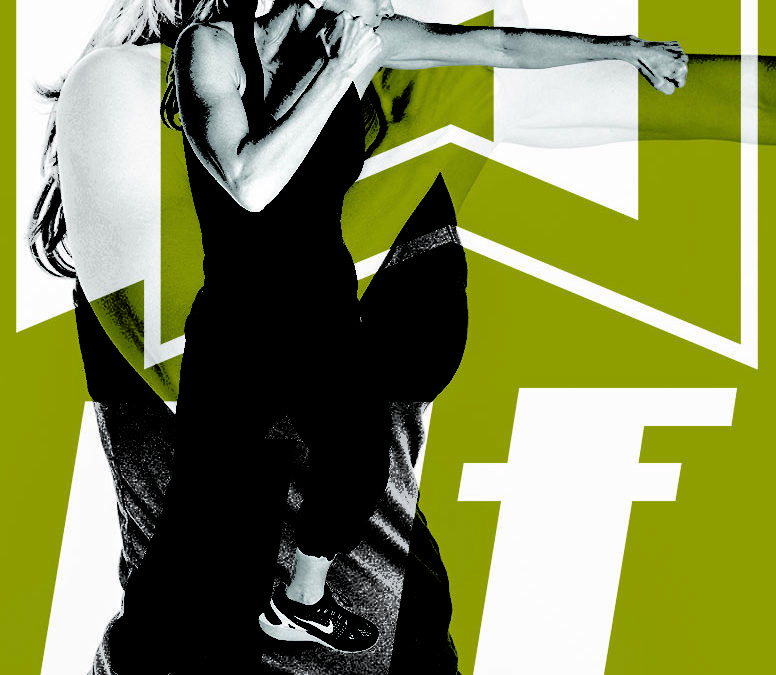 The workout is designed around the theory of HIIT – High Intensity Interval Training – short, intense bursts of cardio followed by active recovery incorporating strength, flexibility and balance. By reaching our maximum heart rate multiple times, we train the body to recover quickly, improving our cardiovascular health. In Group Fight we introduce each move individually, working on form and execution, before we crank up the speed and the intensity, along with our heart rates. During any Group Fight class we combine upper and lower body moves that work different muscle groups than we would in a conventional aerobics class. By combining the upper and lower body in sequences of punches and kicks we rotate, bend and support all movements, building muscle in our core and increasing definition in our midsection. According to Harvard Medical School, a 155-pound person burns around 372 calories during a 30-minute kickboxing class!! This does not take into account variables such as gender, fitness level, age, etc. and is just a rough estimate, but is comparable to a step class or indoor cycling class. Feel free to check out this link if you are interested: http://www.health.harvard.edu/diet-and-weight-loss/calories-burned-in-30-minutes-of-leisure-and-routine-activities. Like any new exercise, it will take some time to learn the movements and feel the true benefits of the workout. Although we may be sore the first few times we take the class, after several classes we start to see increased definition in our shoulders, triceps, upper back muscles, and quadriceps. After 3 or 4 Group Fight classes you will start to learn the choreography and be able to work harder, continually challenging the body. After taking two classes a week for six to eight weeks, you will start to see increased definition in the upper body and the midsection, along with a healthy diet of course. Exercise is progressive and, although we may not be able to do all of the advanced moves at once, in Group Fight we can always decrease the impact in many different ways. Finally, TAC is the only gym within a roughly 30 mile radius where you can take Group Fight, and one of the few gyms in the area that offers kickboxing classes! Laura will be hosting a Group Fight Intro Class on Friday, September 29th from 5:30-6:00 PM in Studio C. Come learn the basic moves and everything you need to know to feel successful walking into your first Group Fight Kickboxing class. You can also find Laura teaching Group Fight Kickboxing Monday and Wednesday at 5:30 PM in addition to Group Power on Thursday at 5:30 PM as well as select Saturdays at 8:00 AM. She also teaches cycle on select Saturdays at 7:05 AM.